A big beautiful smile is important to the overall appearance and health of your teeth. Over the years, coffee, tea, red wine and smoking can cause our teeth to yellow. 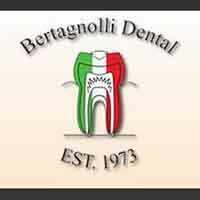 If you would like a whiter smile, Bertagnolli Dental offers teeth whitening in Westminster. Professional teeth whitening will return your teeth back to their original beauty and is the best way to whiten your teeth safely and effectively. We will evaluate the condition of your teeth and determine which treatment is best for you. We cater to your entire family. In addition to teeth whitening us also provide cosmetic dentistry, implants, veneers, dentures, crowns, general check-ups/teeth cleaning and sedation dentistry. Don’t let your teeth keep you from smiling. We are a dental office who cares about each and every patient. Call us today to schedule your appointment for teeth whitening in Westminster.